An increasing number of people in Japan are living alone, and a lot of them are men with flimsy ties to their community. Many are elderly and isolated, lacking any support, or are still in the working population but have delayed or shunned marriage only to find they are now facing the unwitting prospect of growing old alone. Indeed, Japan is in a predicament where it needs to create a social security network that stretches beyond family as the basic household unit of society. A Tokyo man in his 90s whose wife died nearly 10 years ago is a textbook example of what can happen to people left to their own devices. He began to show signs of dementia after five or six years living on his own. Although he was formally recognized as “requiring support,” the man insisted that he be left alone when a facilitator from the local Community General Support Center recommended he receive nursing care services. He refused hospital visits, and then his pacemaker began to malfunction. He stopped attending neighborhood association meetings and other events he partook in when he was healthy. Having no children to care for him, he found himself in virtual isolation. He had not taken a bath in years, nor changed his clothes. Because of his erratic dietary habits, he failed to get proper nutrition, leading to a worsening of his dementia. The man finally entered a private residential nursing home last November. Similar examples can be seen across the nation. 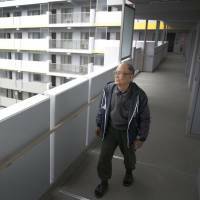 Yoko Shimazaki, who is in charge of the man’s case at the Community General Support Center, said keeping tabs on those living alone is troublesome, especially at night. “For people living alone, we are in the dark sometimes. It is difficult to get a comprehensive view of everything happening with them,” Shimazaki said. Isolation is an issue affecting many, even the working population. “When I think of getting old, all I see in front of me is darkness,” an unmarried man in his 40s in Tottori Prefecture said with a look of gloom. The man graduated from a prestigious university in the Kansai region but was unable to secure a job at his company of choice during the “employment ice age,” which started around 1993 following the burst of the asset-inflated bubble economy and lasted until around 2005. He quit his job after working several years for a small manufacturer. Afterward he jumped around in part-time jobs and now works as a temporary employee for a local government office. He is seeking marriage, but when he tells potential partners his annual salary he is often rejected. According to a survey conducted by the National Institute of Population and Social Security Research, the ratio of people who did not marry before turning 50 — the “lifetime unmarried ratio” — continues to rise, reaching 23 percent for men and 14 percent for women in 2015. Many people like the Tottori man, who went through the employment ice age as young adults, have not seen their income grow and hence hesitate to marry because of financial worries. For him, the fear of dying alone cannot be ignored. People living alone will make up nearly 40 percent of all households by 2040, according to a prediction by the National Institute of Population and Social Security Research. Some companies see the rise of elderly people living alone as a unique business opportunity. Venture startup PowerElec, based in Nagoya, has put on the market a device and service that can monitor power consumption by home appliances. For example, the device detects abnormal patterns in power from a TV that has been left on or off for an extended period, and the data are transmitted to the company’s cloud server. Family members or local government agencies are then notified either via email or with a cellphone app, so someone can check on the person’s safety. PowerElec says its “internet of things” service addresses a societal need for dealing with elderly people living alone. 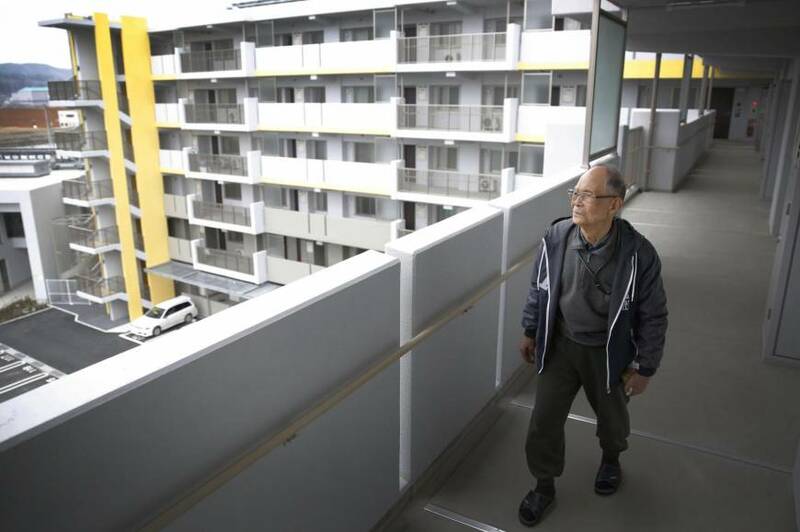 The majority of the service’s customers are family members living apart from their elderly relatives, but the Nagoya Municipal Government is using it to monitor the safety of elderly people living alone in municipal housing, and the service is expanding. Katsuhiko Fujimori, a chief researcher at Mizuho Information & Research Institute, said that in the future a social network that expands beyond the family will be necessary to cope with the rise in mainly unmarried men living alone as they grow old.